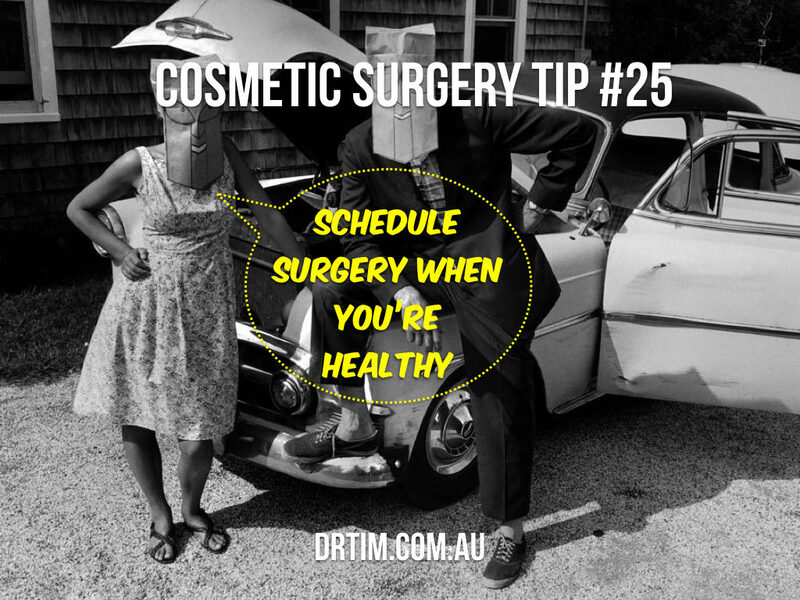 If you are planning cosmetic surgery, try to schedule it during a period of relatively good health. This will give your immune system the best chance toward a speedy recovery. Many patients find scheduling their surgery at the year-end ideal when they can bridge a few days off with paid vacation time.